Kings Cross is a line of golf knickers apparel inspired by golf's rich, centuries-old history. Originating in Europe and most strongly rooted in Scotland, folklore has it that players dressed in kilts to reflect their heritage. 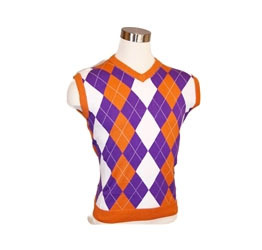 By the mid-20th century, golf knickers and sweater vests had become the transatlantic signature golf outfit. Honoring the evolution of golf fashion, the Kings Cross mission is to create a clothing line that respects the integrity of traditional golf style, while giving it a fresh, fun spin. 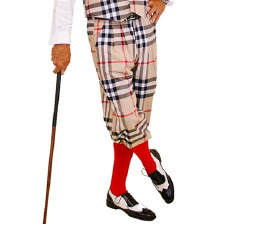 Call our stylists to help put together complete golf knickers outfits for your group or individual needs. 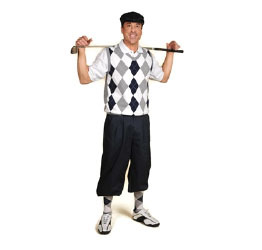 Call our stylists to help put together golf knickers outfits for your group or individual needs.